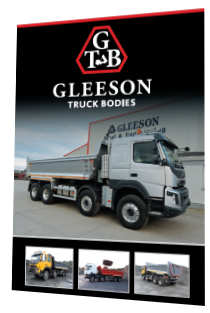 At Gleeson Truck Bodies, we specialise in the manufacture of tipper bodies suitable for all truck types, from 3.5 tonne to 32 tonne. In addition to our tipper bodies, we manufacture grab tippers, beavertail trucks, flat bed & block lorries, livestock bodies and livestock trailers. Our engineering team is constantly developing new ideas and product designs to ensure that we keep up with the ever changing requirements of a fast paced market. They utilize the latest CAD software and prototyping technology in the development of custom items and the enhancement of existing products. 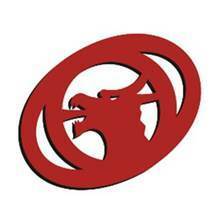 All our bodies are finished to the highest standard, each body being shot blasted, primed and finished to either single pack or two pack Polyurethane paint finish. All RAL colours and colour matching are available to our customers. Weigh systems, electric front to back covers, tool boxes and many other options are available as add-on features to our bodies. Our highly experienced and efficient sales staff are available at all times to answer your queries or to offer you advice or solutions to issues that you might have. Feel free to give us a call to go through your specific requirements. We offer a free consultation and quotation service.